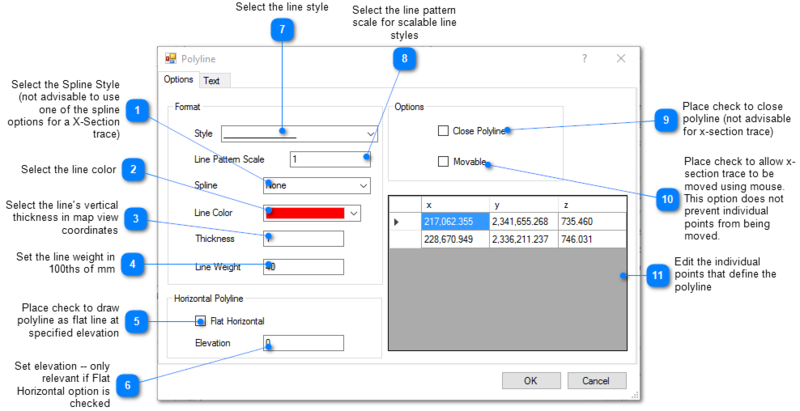 To create a cross-section, a Cross-Section Trace object must drawn in the plan view. Open the Tasks Pane on the right-hand side of the EnviroInsite interface, select Create Window and then select Cross-Section. Use the mouse and click points with the left button to define the cross-section. At the last point in the cross-section trace, use a double-click or hit the right mouse button to complete the selection. 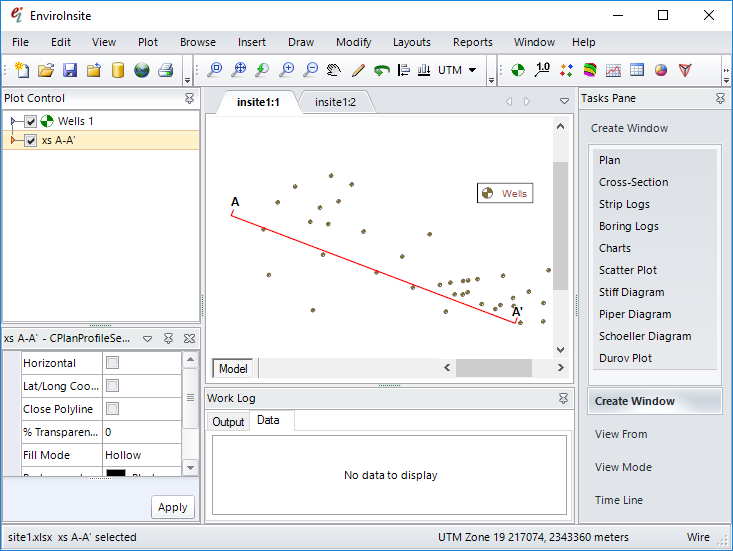 EnviroInsite will then automatically open a new window and create a cross-section plot, with a key map showing the location of the cross-section on the plan map view. You can always switch between cross-section and plan views by selecting the appropriate tab at the top of the view window. The cross-section trace object contains a polyline and two text strings. The content of the text strings (e.g., A and A') are consistent with the text characters used within the cross-section itself. These text strings can only be changed by opening the cross-section, opening the View Options dialog, and entering the text string. The cross-section trace object cannot be deleted as long as the associated cross-section has not been deleted. Points on the cross-section trace can be moved by selecting individual points and dragging them to a new position using the mouse. This will cause the associated cross-section and all of the objects on that section be automatically redrawn. 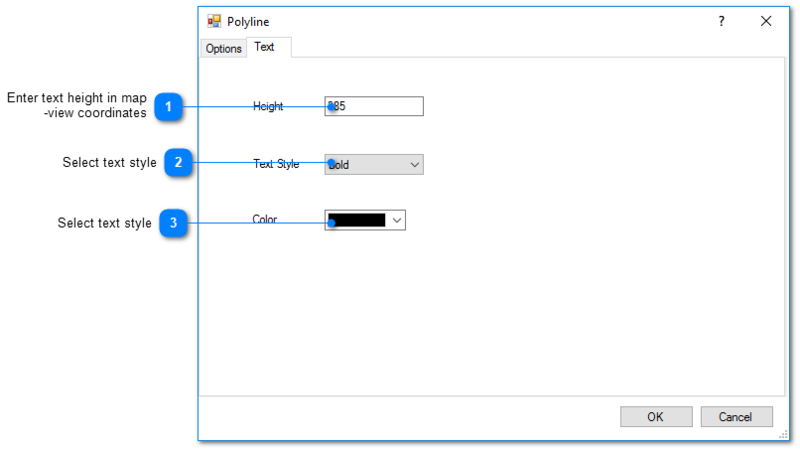 To edit properties of the polyline, double click on the cross-section trace object in the View window or on the object name in the Plot Control tree.